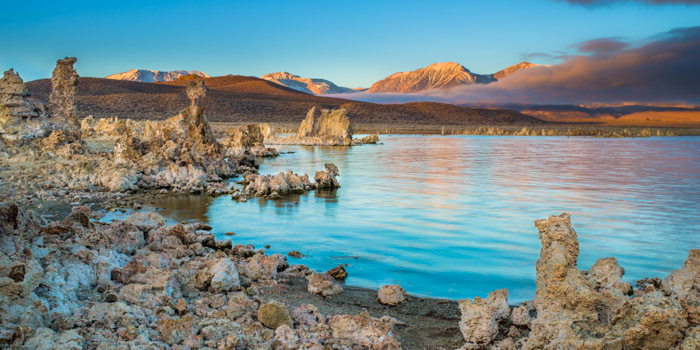 Sunrise at Mono Lake is like awaking on another planet. Tufa encrusted landscapes fill your scene with odd structures that bring to mind sci-fi movies I grew up with. Photo © copyright by Lance B. Carter.